962, Noor Nagar Ghaziabad - 201002, U.P. 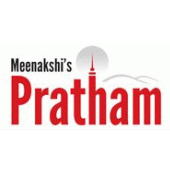 Pratham Housing Pvt Ltd is a dedicated enterprise working towards acing the real estate industry. The company is engaged in the development of high-class, high-standard residential projects ranging from group housings to townships and independent villas etc. With the aim of serving luxury and affordability together, the group aims to provide its clients with the best they can. Pratham Housing has already recorded its presence in the NCR, especially in Ghaziabad, Noida and Delhi, and is expanding its operations throughout the country to improve lifestyles and make them more comfortable. The company’s housing projects are directed towards maximum customer satisfaction by presenting the residents with more than they expect and have specified. The company has dotted all of its residential projects with special features that give them an edge over the rest. Residents can easily avail these projects at the most competitive prices which are free from issues of disadvantageous locations, unavailability of social and cultural amenities and more. Apart from being customer centric, Pratham Housing also focuses on maintaining ethical standards as well as taking care of the environment and the rest of the society while carrying out the construction process. Practices of transparency and accountability make Pratham Housing a trusted name in this sector.